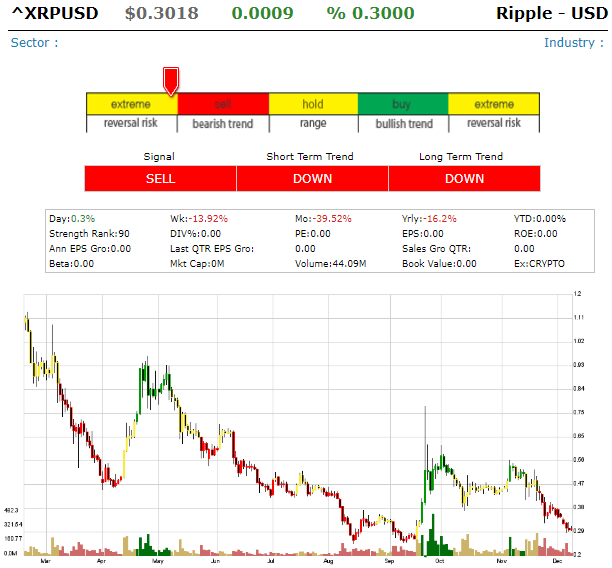 The long term trend of Ripple - USD is DOWN indicating that ^XRPUSD has experienced a DOWN trend for at least the past 180 trading days. The short term trend of Ripple - USD is DOWN, ^XRPUSD has been undergoing a short term DOWN UP over the past 7-10 days. 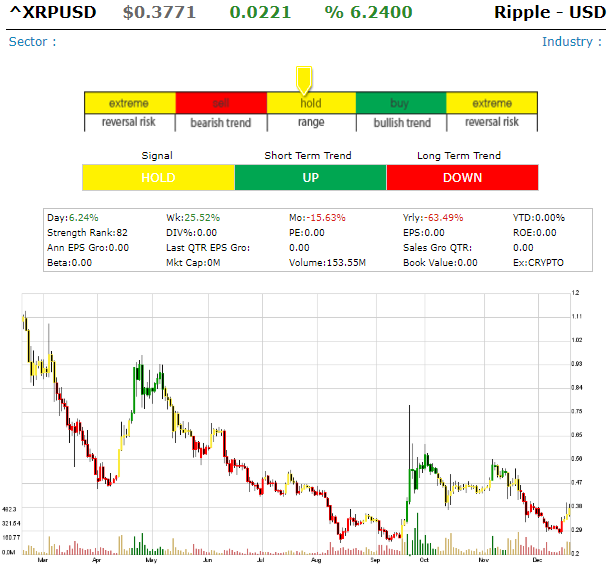 The current signal for Ripple - USD is SELL indicating that the stock could be Declining in its trend. The current price trend is Extreme. The current rank for Ripple - USD is 90, this means that ^XRPUSD is out performing 90% of its peers. Stocks that have a rank of 80 or better, with support of all other analyses , tend to advance the trend.